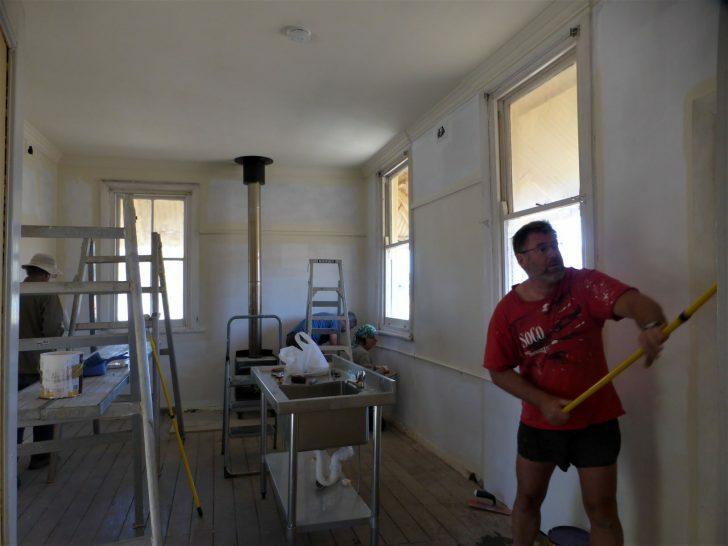 Trail Development volunteers at work improving facilities on the Heysen Trail. While the fire danger season limits the Friends’ of the Heysen Trail walking activities, over summer Trail Development volunteers have been putting your walk fees to work. The Trail Development Committee has been planning and undertaking a range of projects along the trail to improve facilities and add to your walking experiences. This necessary work was undertaken by volunteers using funds raised from the Friends’ membership subscriptions and walk fees. 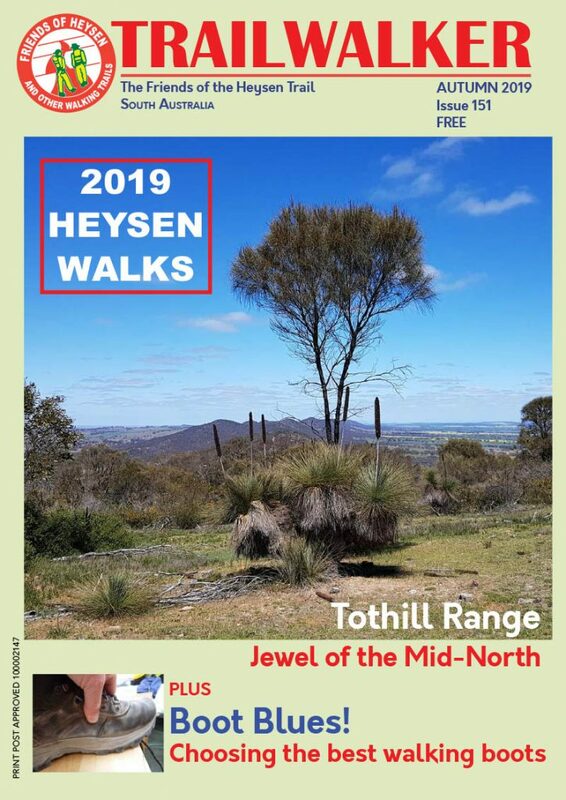 Peter Simons (Trail Infastructure Co-ordinator) and a dedicated team of volunteers have recently completed a major project at Hallett. A year or so ago the ceiling of the hut was collapsing and the hut was in need of lot of work. As you can see from the photo above, the ceiling has been replaced, a new combustion heater has been fitted, a stainless steel sink has been installed and the hut has been repainted. The new toilet at Bundaleer Weir campsite. 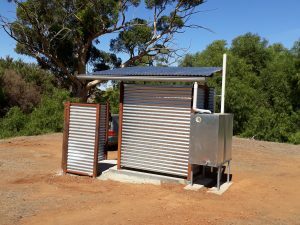 In March another group under the direction of Colin Edwards (Trail Development Co-ordinator) and Peter Simons installed a new toilet at the Bundaleer Weir campsite. We were very fortunate to have had assistance from Mr Rob Hammat the landowner on the adjoining property. Without the use of his digger, the working party may still be there digging holes – the earth was rock hard!. It is great to get assistance such as that from Mr Hammat (as we also do from many other enthusiastic landholders). Camping benches/platforms installed at Wandallah and Webb Gap campsites. 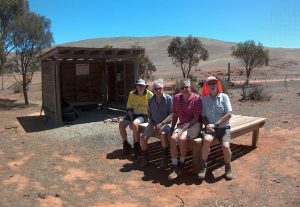 In February the first two of ten camping benches that have been constructed at Cobbler Creek were also installed. The benches are for sitting, sorting and cheffing! For day walkers a nice place to sit for morning tea or lunch. For through walkers a place off the ground to spread and sort their gear and cook. The benches make for a bit of comfort along the trail – as you can see, there wasn’t a lot else nearby to choose from. They are not meant as a sleeping platform. Are you interested in assisting with Trail Development?